Who Is Going To Win The Women’s 2018 NYC Marathon? Does American Shalane Flanagan Have A Chance To Repeat? For the first time in the World Marathon Majors era, two American women are reigning major marathon champions (Deena Kastor, who spent the summer of 2006 as the reigning Chicago/London champion, deserves a shout out). 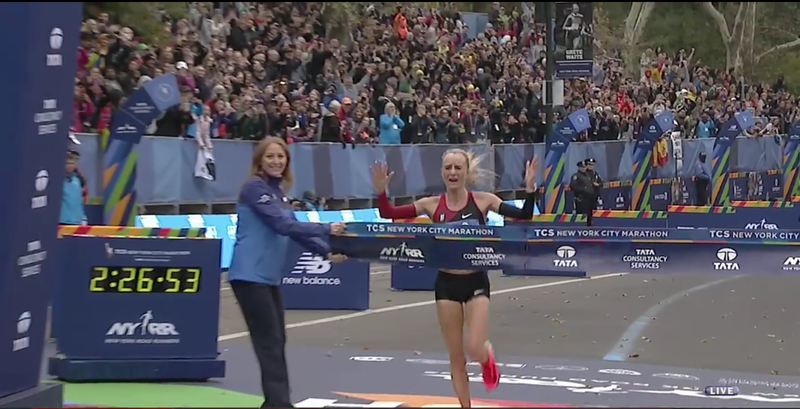 Shalane Flanagan got things started last fall by becoming the first American woman to win in New York in 40 years; in April, Des Linden matched her achievement by ending a 33-year American female drought in Boston. 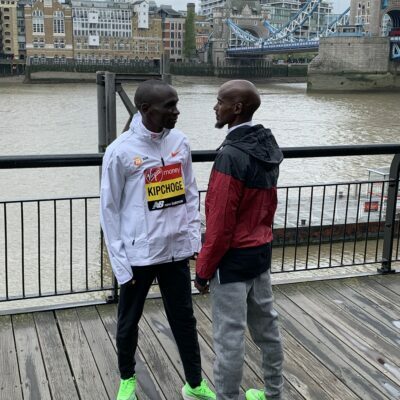 Both of those women, as well as American half marathon record holder Molly Huddle, will be in New York on Sunday, but another American victory is far from assured and in fact unlikely to happen: Mary Keitany and Vivian Cheruiyot, the second- and fifth-fastest women of all time, will be looking to restore Kenya’s dominance. Plus there is Netsanet Gudeta of Ethiopia, running her first serious marathon, who will look to follow in Geoffrey Kamworor‘s footsteps and go from world half marathon champion to NYC champ. And don’t forget about the rest of the Americans, a group that includes Stephanie Bruce, Allie Kieffer (5th last year), and Sarah Sellers (2nd in Boston). We break down the women’s contenders in detail below and tell you what to look for in New York this week. LRC U.S. Men’s Preview: 43-Yr Old Bernard Lagat Debuts, & Who Will Step Up With Galen Rupp On The Shelf? Since the start of 2013, every World Marathon Major has been won by a woman with a PR of 2:24 or faster. There are six such women in this year’s NYC field: Vivian Cheruiyot, Shalane Flanagan, Mary Keitany, Des Linden, Mamitu Daska, and Rahma Tusa. That doesn’t necessarily mean that Molly Huddle (2:28:13) or world half champ Netsanet Gudeta (2:29:15 pb) can’t win; it just means that they would be making history if they did so. So let’s begin our look at this year’s women’s field by examining the potential winners (based on the criteria laid out above) before moving on to the best of the rest. 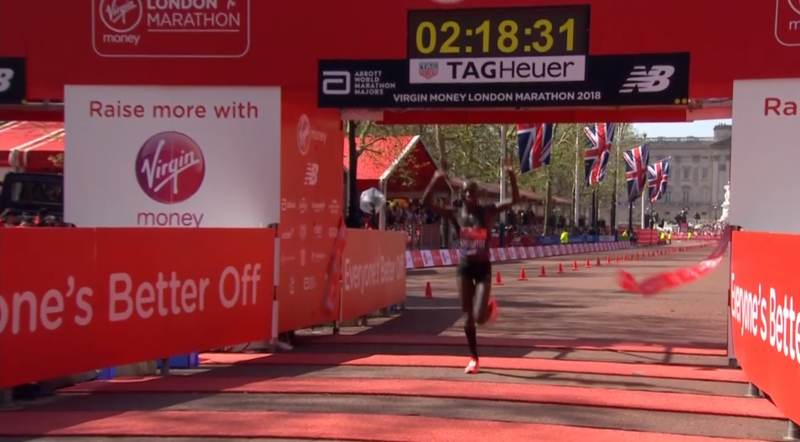 PR wise, Kenyans Mary Keitany and Vivian Cheruiyot are in a different universe to the rest of the field — Keitany has run 2:17:01, Cheruiyot 2:18:31, while no one else in the field has broken 2:21. If they’re at the top of their game, one of these women should win on Sunday, but one need only look back to last year for an example of how things can go awry. Looking purely at her last two marathon results, it’s easy to draw the conclusion that Mary Keitany may be losing her touch at age 36. But context is important: there’s a reason Keitany failed to win her fourth NYC Marathon title last fall and why Keitany walk-jogged her way across the finish line in fourth place in London this spring. Keitany was in great shape last fall — she won the Great North Run in 65:59 — but was felled in New York by factors beyond her control. The day before the race, she got her first period in three months, and it was clear that she was not the same runner the next day. In London, Keitany was in even better shape: she clocked a half marathon pb of 64:55 in February (#3 all-time). But she ran her first half in a ridiculous 67:16 and totally cratered in the unseasonably warm conditions, splitting 77:09 for her second half. Barring any unforeseen circumstance, Keitany should be back to her best in New York, and she’s not going to be going out anywhere close to 67:16 for the first half. And Keitany’s best is usually good enough to win: she won NYC by 1:07 in 2015 and a monstrous 3:35 in 2016. Don’t overcomplicate this: Keitany is one of the best marathoners of all time, and ran 64:55 for the half less than nine months ago. She should contend for the win again on Sunday. The only thing that makes us slightly unsure is we don’t know if she’s fit as she didn’t do any prep races, but we’ll find out at the press conferences later this week. 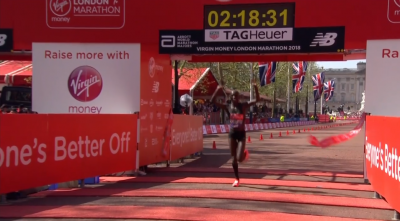 Cheruiyot, one of the all-time great distance runners on the track (four world titles, four Olympic medals, including 5k gold in 2016), showed that she is just as good in the marathon by taking down a stellar field to win the London Marathon in April in 2:18:31 (the seventh-fastest marathon ever run). New York will be a new challenge for Cheruiyot, as it will be her first championship-style marathon (previously she’s done London twice and Frankfurt once) but we like betting on talent and Cheruiyot is one of the most talented runners to have ever walked the Earth. Plus she looks to be in great shape right now. Two months ago, she won the Great North Run in 67:43, but more impressive than the time was who she beat. In second place, nine seconds behind Cheruiyot? Brigid Kosgei, who just crushed everyone by running 2:18:35 in Chicago. In third, 27 seconds behind Cheruiyot? 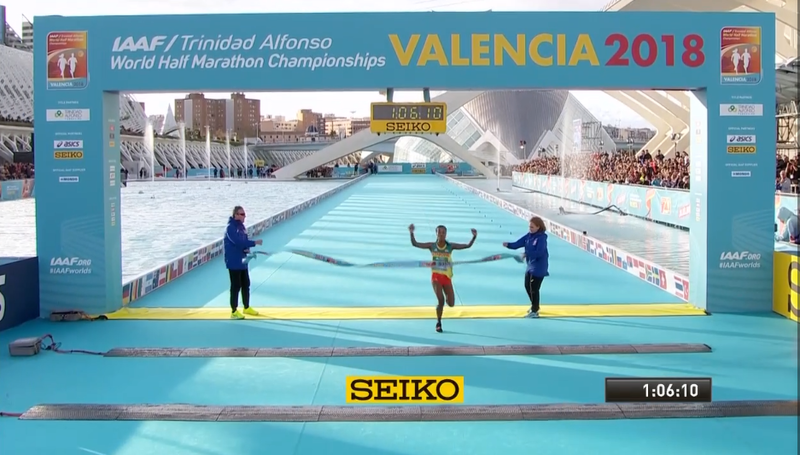 Half marathon world record holder Joyciline Jepkosgei. March: Ran 66:11 (fastest time ever in a women’s-only race) to win the world half marathon title by 43 seconds over WR holder Joyciline Jepkosgei. June: Ran 67:30 to win the Olomouc Half Marathon by 2:15. July: Ran 71:34 at 8,660 feet to win the Bogota Half Marathon by 3:06 over Brigid Kosgei (who just ran 2:18 to win Chicago). That is some résumé. Gudeta, who trains with her husband Gelelcha Girma outside of Addis Ababa, has also run 30:36 for 10,000 meters and earned World XC bronze in 2015. She has all the makings of a fine marathoner, and we always think XC studs are well-suited for NYC as it shows they do well in races where your rhythm is broken often. But she’ll have her hands full with two of the best of the world in Keitany and Cheruiyot. Daska is a very good runner. She ran 2:21:59 to win the 2011 Frankfurt Marathon. She finished third in New York last year. She was leading this year’s Boston Marathon at 20 miles. Despite saying all of that, she doesn’t have the credentials of the runners above and for her to win in New York, a lot of things would have to go her way. Tusa has won the last three Rome Marathons, including this year in 2:23:46, which got her underneath the 2:24 barrier that history has shown may be sufficient to win a WMM. However, winning in Rome and winning in New York are entirely different things. Flanagan stunned the running world by winning New York last year. Linden followed that up by stunning everyone by winning in Boston. 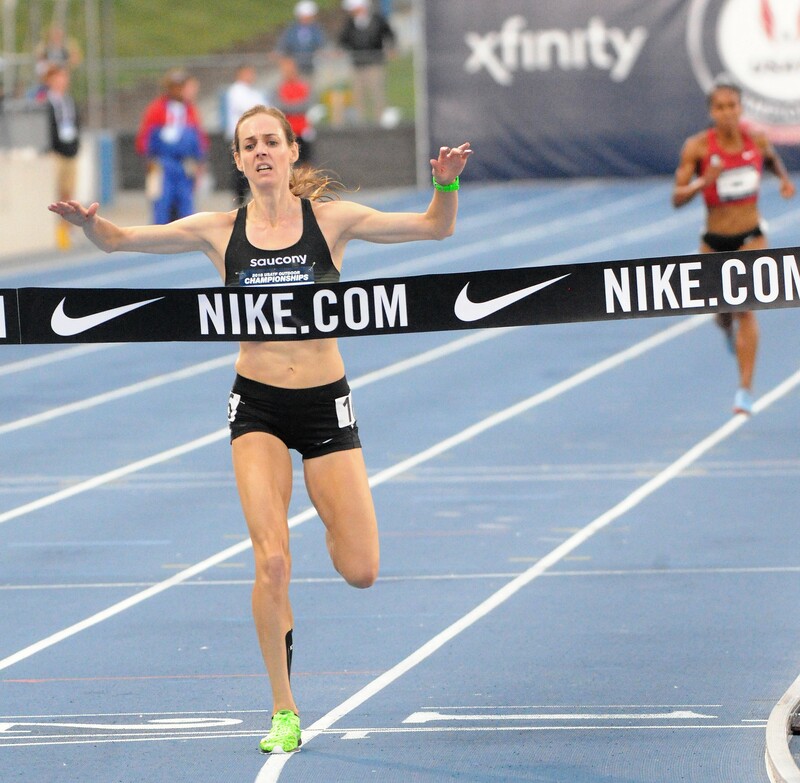 Both American champions will be on the starting line on Sunday, as will Molly Huddle, the American record holder in the half marathon. Let’s start by discussing their chances collectively before looking at them individually. If Vivian Cheruiyot or Mary Keitany have their best days, neither Flanagan, Linden, nor Huddle will be triumphing on the streets of New York. However, that isn’t that different than last year when Edna Kiplagat and Keitany were headlining the field. The difference is this year, Linden and Huddle in addition to Flanagan are in the field, so if one of the Kenyan stars falters there are three times as many top-tier Americans ready to try and fill the gap. Now let’s turn to Linden, Flanagan, and Huddle’s chances individually. 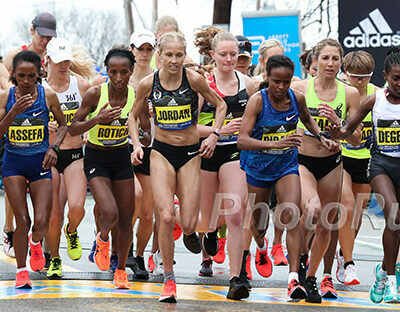 Linden enters New York at the pinnacle of her career as the reigning Boston Marathon champion. Many assumed Linden’s best chance for glory was 2011 when she lost Boston in the finishing sprint. 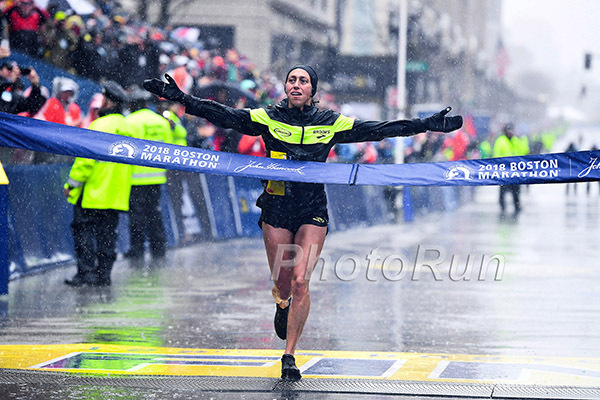 She proved the doubters wrong by capturing Boston this year, in some of the most horrific weather conditions we’ve ever seen for a marathon. Linden, however, was not content to sit on her laurels, and has switched coaches after her monumental win in Boston. She’s back with her college coach Walt Drenth and LetsRun.com’s Jonathan Gault has a feature story on Linden’s new regime and training heading into New York here: The Rebirth of Des Linden. Linden felt things were getting stale with her old approach and is now integrating a lot more speed into her training. Will it pay off with an improved performance? We will find out on Sunday, but one thing is certain, Linden is very energized with the new approach. Her agent Josh Cox told us on Wednesday in New York that he has never seen Linden as excited about her training as she is now. Many athletes only shake things up late in their career after a string of subpar performances. Linden shook her career up after her biggest triumph. Winning gave her the freedom to do what she pleased. She’s also chosen to take advantage of her newfound fame by cashing in on a few more sponsorship opportunities and doing a few things that wouldn’t have been available in the past, such as being a VIP at the Country Billboard Music Awards and getting pit row access to the Formula One event in Austin (Linden is a huge, huge F1 fan and Cox says she structures her workouts around being able to watch races). Will the added travel and/or change in training hinder or help her performance on Sunday? No one really knows, but Linden is relishing her opportunity to take on the best in New York. Flanagan is back in New York with the title everyone wants: defending champion. Many assumed she might retire after New York, but she toed the line in Boston in April and has kept training to defend her New York title. That freedom has also let Flanagan embrace doing whatever she wants in terms of training and racing. She has not finished any races since Boston, but did help rabbit her teammate Shelby Houlihan to the American record at 5,000 this summer. All indications from Flanagan’s camp are that she is fit and ready to race, but with no tune-up races we’ll have to wait and see. Huddle is the least-credentialed of the big three Americans at the marathon distance, but she did finish third in New York in her marathon debut in 2016. However, Huddle’s ability as a marathoner is still uncertain as this is only her third marathon ever. Marathon #1 was perfect for a track runner moving up as the pace was slow until the final miles and Huddle did very well in it. Marathon #2 was Boston this spring and considering the atrocious conditions, we will give her a pass on her performance there (2:50:28 13th place). Since Boston Huddle has won another USATF 10,000m title, run 15:01 for 5,000 on the track and run three road races (3rd at the NY Mini 10k 32:35 in June, 3rd at the Beach to Beacon 10k in Maine 31:40 in August, and 2nd at the US 10-mile champs in Minnesota in 52:48 last month). Losing to Sara Hall at the 10-mile champs was a bit of a surprise (Huddle’s time of 52:48 is 2:18:20 marathon pace), but everything else Huddle has done this year indicates she’s ready to give marathon #3 a try and see if she can be competitive in a faster race. The conditions are perfect on Sunday so it will be interesting to see what Huddle and the other Americans can do. 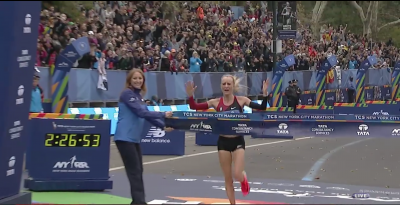 Give us your thoughts about the women’s race on our world famous messageboard / fan forum: MB: 2018 NYC Women’s Race: Can Shalane Flanagan or Des Linden repeat as WMM champ? Make your picks now.